Ylva Westerhult and Malin Tivenius set out to create an ‘Anti-Atlas’ by tapping into the enduring and visible limestone heritage on the island of Gozo, eventually making negative moulds of the ‘landscape’ and then combined them with negative moulds of parts of their bodies to create sculptures that seek to investigate questions of identity, borders and social structure. 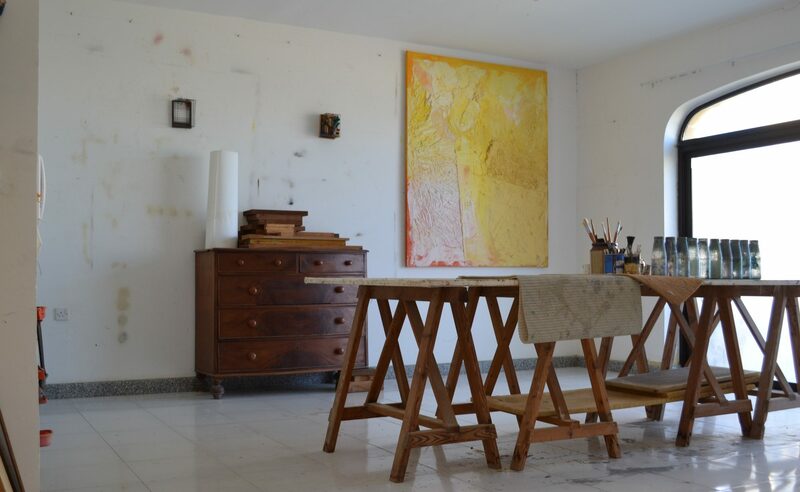 Their work – which is currently in the care of the local Għarb community, with an eye towards being exhibited at a later stage, was further bolstered by a direct engagement with the local and artistic community. The duo met with local artists Victor Agius, Matyou Galea and Joe Xuereb, as well as Saviour Tabone of Gozo College at San Lawrenz Primary School, with whom they discussed the importance of inviting artists to such small and somewhat isolated schools. Ylva Westerhult and Malin Tivenius are two Swedish artists, who met while studying at the Academy of Fine Arts in Umeå in the very far north of Sweden, close to the polar circle. At the academy, they found that they dealt with similar languages of form and materials, both working with sculpture. In 2014, for the year of Capital of Culture in Umeå, they started their first collaboration by dealing with a region that is also on the outskirts of the EU. Their work came to examine the triangle of Gibraltar, Spain and Morocco. The work was presented at AADK Centro Negra, (Blanca Murcia Spain), and was later showcased at HUM-lab X at the Artistic Campus in Umeå as part of the Umeå 2014 European Capital of Culture. Several videos and installations were included in the exhibition.